Alan has appeared as a session musician on albums by Selina Jones, Bjork, Van Morrison, Bryan Ferry, Clare Teal, Jamie Cullum and Westlife and can also be found on film and television soundtracks including Chicago and jingles such as the Tetley Bitter series of adverts featuring his solo baritone. Alan has appeared regularly as a member of the Laurie Holloway Orchestra on television's Michael Parkinson show and Strictly Come Dancing. In 1999 Alan toured America and Europe with Bryan Ferry's band, returning to the U.S.A. in early 2000 to record and tour for ten weeks with Warren Vaché's eleven-piece band - a project for which he had written most of the arrangements. He returned to Kansas City in 2001 to perform as a guest soloist at the Topeka jazz Festival. That November he featured on baritone and clarinet at the Blue Note Clubs in New York and Tokyo with the Charlie Watts Tentet and followed this with a stay in South Africa as a solo artist. In November 2003, he was made a fellow of the Leeds College of Music. Later that year also saw the inception of Alan's own record label Woodville Records. 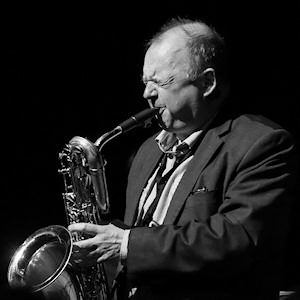 Over the years Alan has won many British Jazz awards in alto, baritone, clarinet and arranging categories. In 2001, 2006 and in 2010 Alan received a trio of prestigious BBC Jazz Instrumentalist of the Year awards, in 3 categories: for clarinet, alto sax and baritone sax. Compositions and commissions include The Sherlock Holmes Suite, two series of jazz songs written with playwright Alan Plater Songs for Unsung Heroes and The Seven Ages of Jazz, The Marbella Suite, and settings of E.E. Cummings and other poets arranged for Jazz octet. Latest projects include a clarinet led trio with Jim Hart on vibes and Paul Clavis on drums and an all star octet playing the music of Duke Ellington.